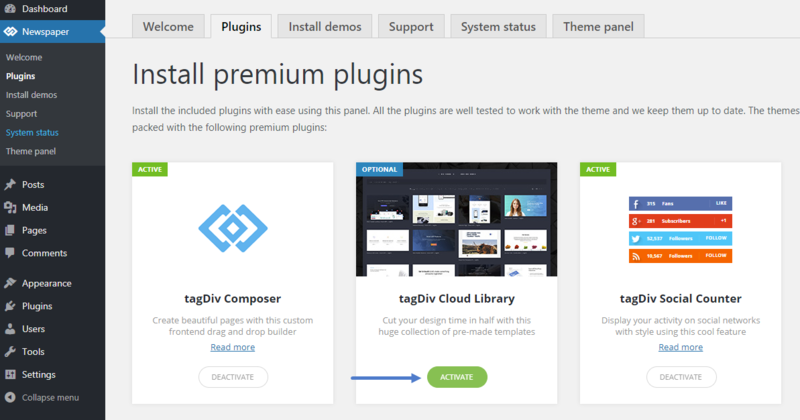 The tagDiv Cloud Library brings you over 130 already-built layouts and makes your website to stand out! It was designed to simplify the way you create layouts in the Newspaper theme. This innovative system allows you to import templates and customize them using the drag and drop functionality. 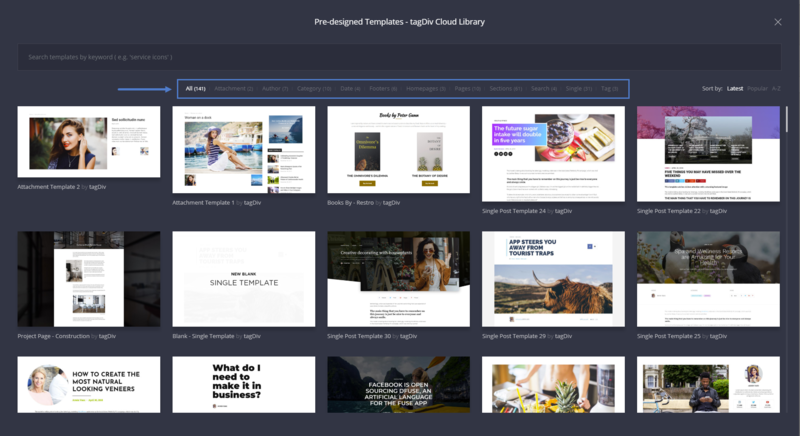 Think of it as a template builder that comes with a huge collection of layouts for every section of your site. You can browse the tagDiv Cloud Library collection, preview the unique designs and import the one(s) you love! 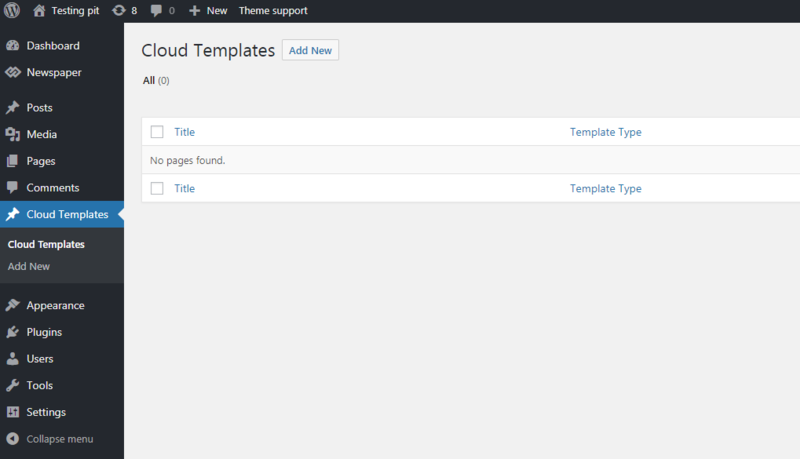 Once activated, you can access the new menu in the WordPress admin area called “Cloud Templates“. The new menu allows you to see your currently imported templates, or to import a new template from our servers. The templates available are stored in categories, so you know the purpose of each layout. 4. Press the “Create template” button. You’ll be automatically redirected to the tagDiv Composer page builder where you can customize the template. You can modify the layout or leave it on default. This should be familiar if you used the tagDiv Composer before. If not, we recommend using the documentation to learn how to use the page builder before attempting to modify the templates. 7. 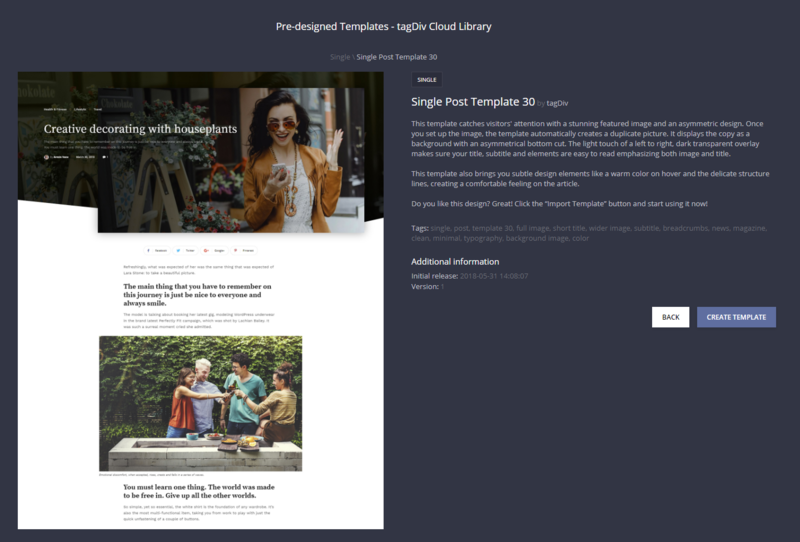 All your imported templates are listed in the Newspaper > Theme Panel > Post Settings > Default Post Template, ready to be used globally. 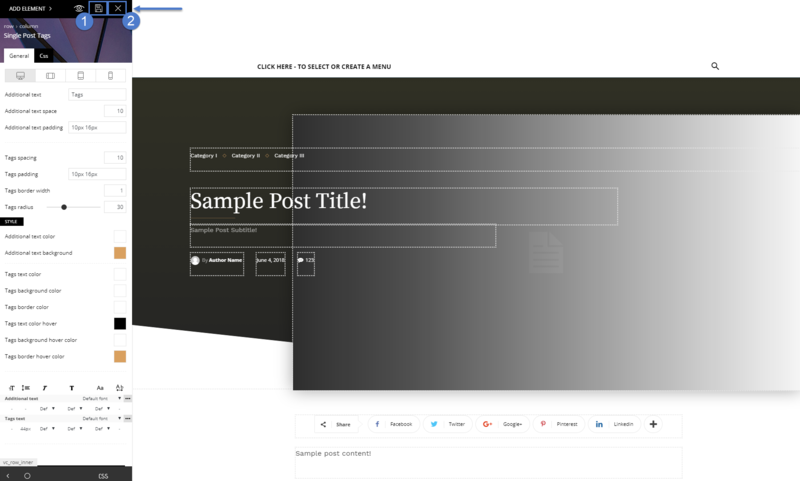 In this particular example, the template is set as the default post template replacing the standard theme default setting. 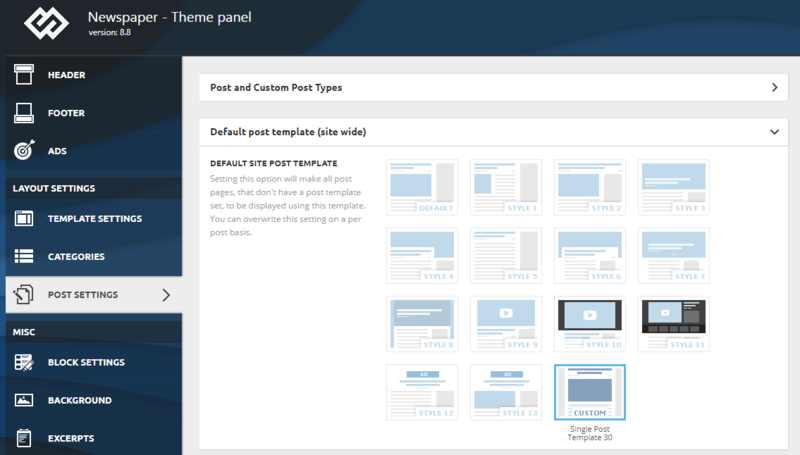 It can be changed back from the template settings of the theme panel to another post template though. You can also choose what template to use on each post individually from the Post Settings section. Whether you want to create a new layout from scratch or to modify an existing one, Newspaper has you covered. The new version of Newspaper helps you design everything on your website without touching a single line of code. Customize the layout for any posts, sections, categories, authors, archive, tags, or search pages using the drag and drop functionality.